Posted March 1st, 2012 by Shima Ghailan & filed under Music, Pop Culture. I can’t remember the last time I heard a young artist with a soulful voice and thought to myself, “Wow. I can totally connect with this song”. Until I heard Yuna. 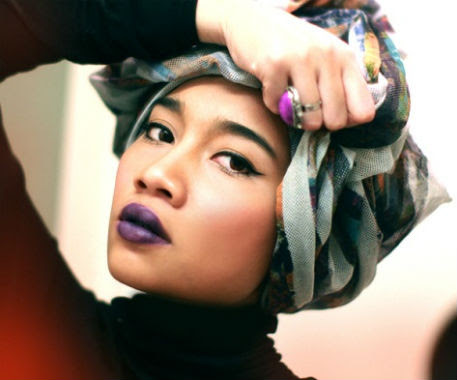 Yuna Zarai, a Malaysian-Muslim, began her music career at the age of 19. While in law school, she picked up the guitar and that’s when her talent began manifesting into the musical career she has today. While she won titles at different Malaysian music award shows, her music transcended her native country all the way to North America. Radio shows in New York called her voice “flawless” and Russell Simmons said she is “an amazing new singer”. That was just the beginning. Singer and producer Pharrell Williams was introduced to Yuna and they shortly began collaborating. He produced her latest released song “Live Your Life” which is a soothing melody, indie rock, folk blend with lyrics that send the message of finding yourself and staying true to it. She did just that. But to me it was more than her unique voice. She is a representation of the continuous breaking of societal norms and stereotypes. The fusion between these two worlds is exactly what reminds me that while we differ as cultures, backgrounds, and ethnicities, the similarities we share can create beautiful things. This powerful juxtaposition of what she appears to represent and the industry she’s involved in challenges so many notions in the pop culture scene. Fiercely rocking the veil and serenading people, Yuna is giving people a shock to their eyes and ears. While I know some people wouldn’t be surprised by Yuna, having some rethink their preconceived notions is aces in my books. Not only is she relatable to different generations, she is a great role model for younger girls and boys. A female figure in the mainstream music scene that’s not highly sexualized is exactly what we need nowadays. She can belt out a note or two without showing off a set of something. You know how they say music is the universal language? Touché. Shima Ghailan is based in Vancouver and writes about misrepresentations in pop-culture and media.